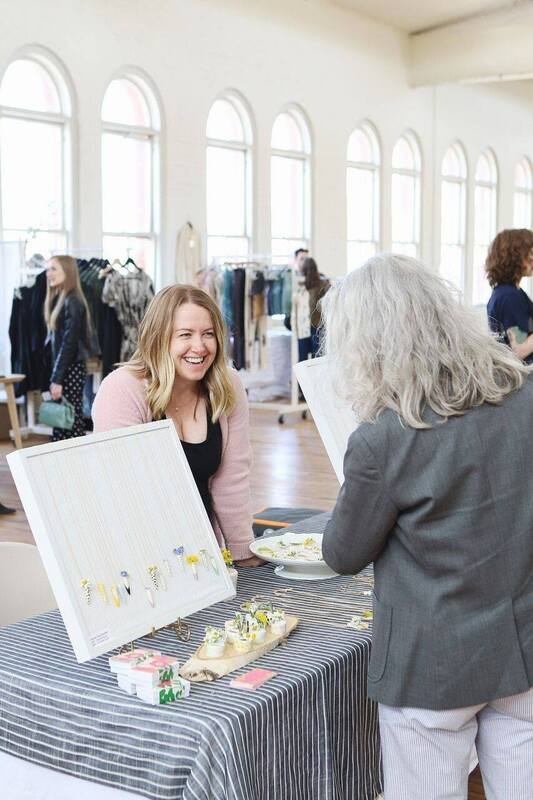 Last Saturday, I had the opportunity to speak on a panel about sustainable fashion consumption at the Sustainable Fashion Forum during Design Week PDX. With 3 of my favorite ethical fashion bloggers, Allison of The Thoughtful Closet, Andrea of Seasons + Salt, and Ellie of Selflessly Styled, and our wonderful moderator, Andrea, of Ecologique Fashion and Fashion Revolution USA, we discussed subjects such as the reasons why we've chosen to embark on a style journey with sustainability and consciousness in mind, our process to chose and trust a brand, the issues related to the fashion industry in general, the best resources for ethical fashion (including plus size), and greenwashing. Our panel was followed by a keynote by Modified Style Portland's, environmental consultant Kelly Raynor about sustainability in fashion. The second panel featured local designers and fashion’s top industry leaders such as Angela Medlin of The Functional Apparel and Accessories Studio (FAAS)/Pensole Carly of Keen Footwear, Davora of Prairie Underground, Dre & Len of Ecovibe Apparel and was moderated by Whitney Bauck of Fashionista and focused on the obstacles and opportunities faced in the effort to create ethically-made and fashion-forward clothing. 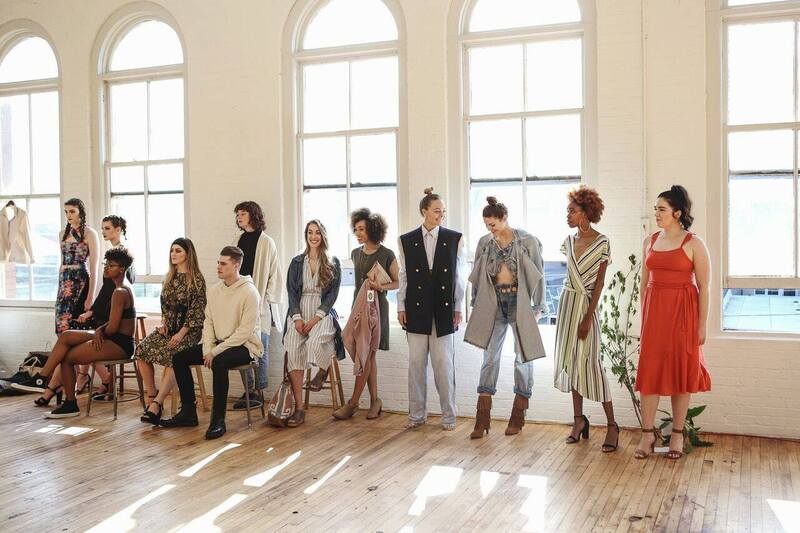 And the event concluded with a live fashion show featuring sustainable designs from some of Portland's best local designers. 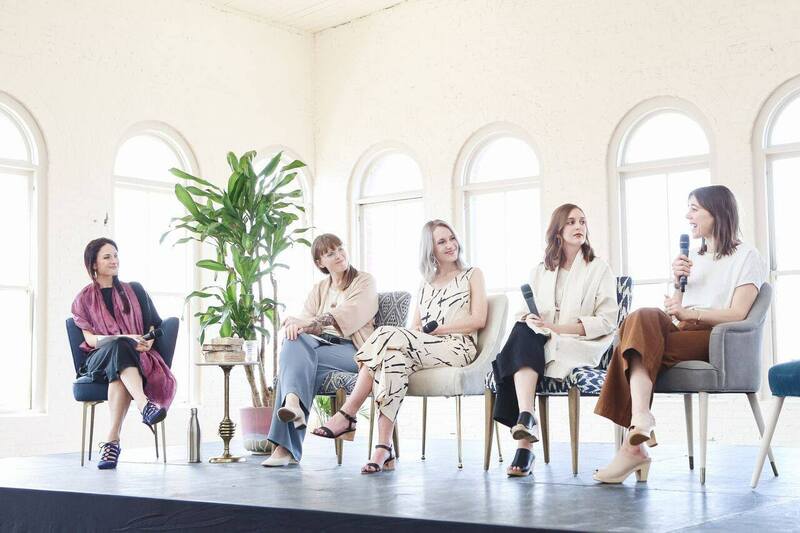 While the audience seemed very knowledgeable on the subject of ethical fashion, the facts and figures surrounding the industry can be overwhelming. Even experts get lost in all the data. We keep hearing that fashion is the second biggest polluting industry in the world when in fact fashion seems to be the fourth most polluting industry. But we sometimes forget that, like Ellie very well put it, the mere fact that we're having this conversation is a privilege. I've introduced a concept at the end of my intervention on the panel, and wanted to continue the conversation over here on the blog. Being a sustainable fashion consumer doesn't necessarily mean investing in pricey new pieces from ethical brands. 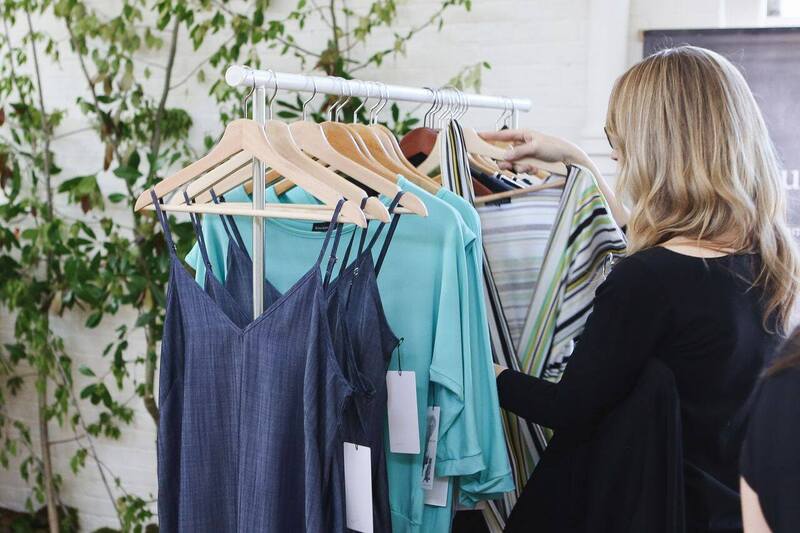 You don't have to buy from sustainable brands to be a sustainable fashion consumer. The most ethical way to be a fashionista is to avoid shopping. There are so many clothes in our closets that we never wear. A great way to rediscover your wardrobe is to participate in the 10x10 challenge. Chose 10 pieces of clothing and challenge yourself to create 10 outfits with them. And please, do not get rid of everything in your closet only because it's from a fast fashion brand! See that jacket I'm wearing in the top picture? It's from Zara. I've had it for more than 5 years, I love it, I'm never gonna get rid of it. Keeping such items is a great reminder that my style and beliefs have evolved with time. Prolonging the life of your clothes is a wonderful and mindful way of taking care of the planet. Whether it's got sentimental or money value, you will want to make them last. A great way to do that if to spot clean stains naturally and regularly, mend your clothes as soon as you see a hole/miss a button/etc, wash them less often (that saves energy, prevents the synthetic items to shed plastic particles into our waterways and generally keeps your clothes from the friction of the washing machine). By the way, switching to a natural detergent and investing in a GUPPYFRIEND washing bag are also great options. Rather than simply donating your old clothes to a charity where they are not very likely to be sold or donated to someone in need and might actually hurt developing countries'economies, try to swap or sell them (second hand store, consignment stop, or online - but be mindful of packing and shipping implications). It's a great way to make someone happy or make some cash. PS: If you find it easier to donate your old clothes, look for place you can safely and consciously give to such as Dress for Success or a local women shelter. Again, the best way to buy something new (to you) is to buy something that does not need to be newly produced. I'm gonna be honest here and admit that I do not enjoy buying clothes in second-hand stores, or big stores in general. I get analysis-paralysis. Too much choice is overwhelming. My solution? Finding local shops that have a curated vintage and second-hand selection. Here in Portland, my favorites are Johan, Yo Store and Backtalk. Consider certain factors such as wages, production, material, shipping, end of life and have fun. There are many brands whose values will align with yours. 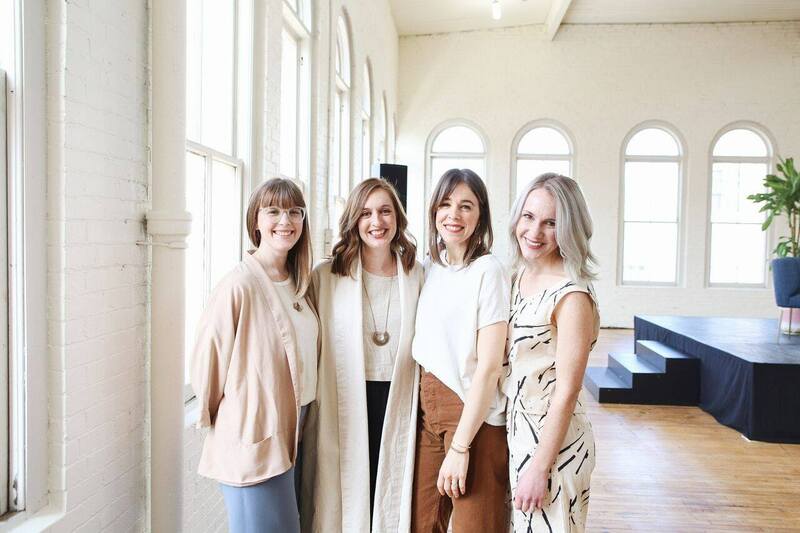 You can find my favorites conscious brands for women here. 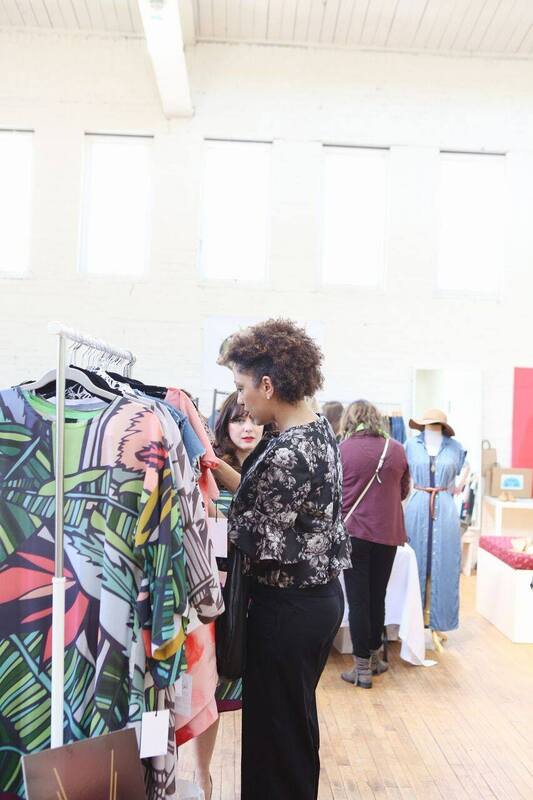 And here are some of the amazing brands that participated in the Sustainable Fashion Forum Pop-up Market: Rachel Sees Snail Shoes, May and Mary, Altar, Seaworthy, Fourth + Foxtail, Urban Refinement, Sum Eram Ero, NDA. 4 questions to ask yourself before making a purchase? Are the people who make it paid a fair wage (as compared to the country's standards)? How many miles is the items going to travel before reaching your closet? Polyester releases microplastics in our waterways, silk worms are boiled to make silk, cotton requires a lot of water, the process for making bamboo rayon is heavily chemical. What will it become after I get rid of it? Will it still have a good second hand market value? Will it biodegrade? Although I was anxious to get on the stage, I really had a lot fun of sharing my insights with the public and hearing the amazing women who were up there with me talk about their experiences and struggles. It's definitely been a learning experience and I hope to do that again very soon. Thank you again to the amazing Brittany Sierra, of Laptops and Smalltalk, for organizing an event of such quality and for allowing me to be my weird self in front of strangers. What's your opinion on the concept of sustainable consumption? What does sustainable fashion mean to you? Photographs by Candace Molatore for the Sustainable Fashion Forum.